With style, plenty of features and a fresh lease on life, the 2016 Kia Sedona is now a serious rival to established minivans such as the Honda Odyssey, Toyota Sienna and Chrysler Town & Country. As either an 8-passenger family van or a 7-seat luxury liner, it brings good value, if not quite as much roominess as competitors. Kia Sedona is an all around family vehicle. My Kia Sedona is outstanding. I have six children, two of whom are in baby safety seats and one is still in a booster. The vehicle has the middle row seat that leans forward with minimal strength or effort, allowing my children to get themselves into the vehicle. The outside seat in the middle row leans forward as one seat not an entire row - as the pilot did. That was the last pilot I owned as two baby seats in one vehicle was near impossible. The same seat can fold entirely forward and out of the way allowing the middle row to be a two seater and easy access to the back. The girls (my children) enjoy having this option, enjoy having options at all in their vehicle. Family friendly but not for elders, special needs, or sciatica/low back issues. I hate not being able to see the hood on my car or many others I have tried. The buckets in seats of all vehicles are too much for special needs, elders, or anyone with sciatic/low back problems. When you put the third row seats down it is not flat which causes problems of shifting of some cargo. Since purchase I have had a slow leak tire that I hope to soon get fixed. It is too hard with our schedules to get a vehicle in for servicing. I haven't been able to clean the inside of the windshield due to the deep slant, even with a windshield wand. Need really long arms or professional cleaning. My whole family loves this vehicle. 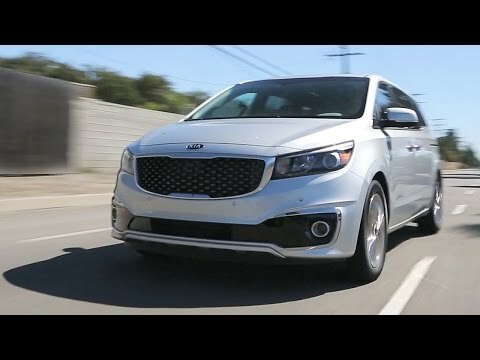 2016 / 2017 Kia Sedona Review and Road Test | DETAILED in 4K UHD! 2016/2017 Kia Sedona 2 years Later Review Watch Before Buying! !